When I first learned of this assignment my mind was flooded with so many possibilities. Perhaps I can learn to build a website or some other technological skill. Or I can learn how to knit and gift family and friends with scarfs or socks for Christmas! Or I can re-learn Greek so that I can do my morning devotions in Greek! Or I can learn how to play another instrument. Although all of these ideas would be useful to learn they just didn’t seem to get me excited. In The First 20 Hours: How to Learn Anything Fast, Josh Kaufman lists ten major principles of rapid skill acquisition. The first one on the list is “choose a lovable project.” So that’s where I started. I asked myself, “What do I love to do that I have not done in a long time?” The first thing that popped into my head was “play”…I have not played in a long time. Immediately I thought about learning to play chess. I have always wanted to learn how to play chess. The more excited you are about the skill you want to acquire, the more quickly you’ll acquire it. There were several reasons why I was excited about learning how to play chess. First, my husband loved the game! Second, my son loves to play chess (learned from his dad) and I thought what a wonderful way to spend time with my son. So I shared with him my assignment and asked him if he was up to the challenge of teaching me how to play chess and he agreed. And lastly, I get to do something I haven’t done in a long time—-play! The names and the number of pieces each player has. 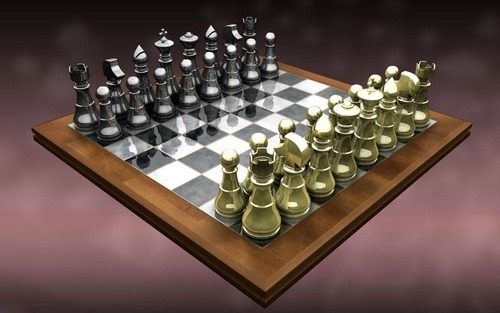 Each player has 16 pieces – 1 king, 1 queen, 2 rooks, 2 bishops, 2 knights and 8 pawns. All the pieces do not move in the same direction and the knights are the only ones that can move over other pieces. There is a specific way to set up the chess board. The second row is filled with pawns. The rooks go in the corners, the knights go next to them, then the bishops and then the queen and the king next to the queen. The queen always goes on her own matching color. The white pieces always move first. Play, play, study, play, play, play and have fun! This assignment was more than learning a new skill. It was about spending time with my son and discovering how good a chess player he is! Josh Kaufman, The First 20 Hours: How To Learn Anything Fast. (London, England: Penguin Books, 2013), 14. Hi, i want to ask something. How do i get more information about this? Danke!